We’re bringing it back to the basics recommending Knot & Grain’s Top 10 Best Books relating to woodworking. Check ’em out in your spare time (if you have any) – these books are also great stocking stuffers for any of your family/friends who may be looking to get you some gifts! For those of you woodworkers living in apartments or condos, you may want to take a look at this book. The Minimalist Woodworker Vic Tesolin is an ode to using hand tools, being quieter, and just generally using less. For those of you who have a shop/garage, still check out this book as the underlying principles behind minimalism in woodworking are fascinating – especially for those of you who like conservationism. You’re only as good as your sharpest tool, right? But seriously – your tools need to be sharp in order to be effective. This book is a great (and beautiful) how-to-guide into do just that. Nick Offerman is pretty much an idol in the woodworking world – this book details his humble beginnings, his love for woodworking, entertaining diatribes, and insight into running woodworking as a business. One of our favorites! This book is as basic as it can get in terms of harvesting, milling, stacking, drying, and flattening a tree into a useable log. For those of you who are interested in starting your project from the very beginning, this is the book for you. Ah, tools. Basically the reason why we woodwork. 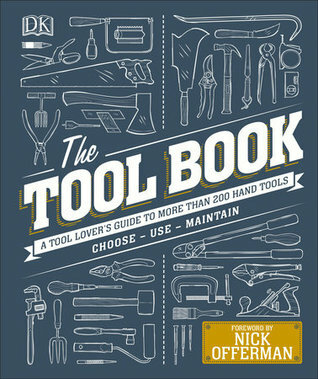 This book goes into illustrated and written detail of over 200 hand tools and gives you practical applications as to how you can use them. We learned quite a few things from reading this book, and we think you will too. This book is a fascinating look into all that can be made out of one single tree. This is Robert Penn’s journey to use one single tree in as many ways as possible – he takes you on the journey so you can learn some of his process too. Joinery is a long-lost art that we refuse to let go forgotten. This book does a great job of detailing the how’s and why’s of essential joinery in a world that’s filled with nails, screws, and glue. Plus – who doesn’t like looking at detailed pictures of beautiful joinery? This is about as essential as you can get in terms of learning woodworking from the very bottom. Through all the flashiness we see on Instagram, Facebook, and Pinterest – woodworkers often forget that woodworking is an art form. This book does a great job of reminding us of that! For more of our recommendations, please check out our Knot & Grain Official Book Guide.